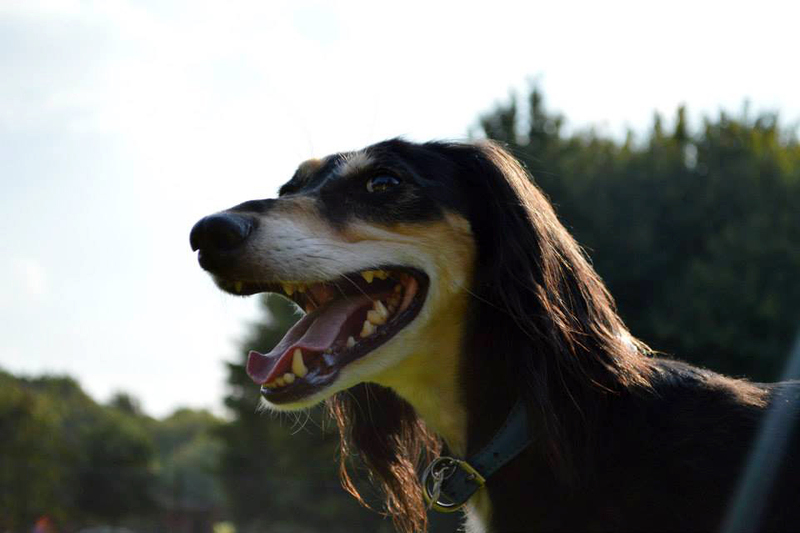 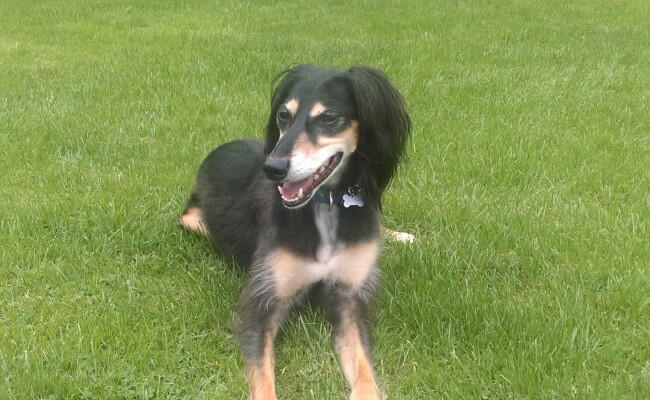 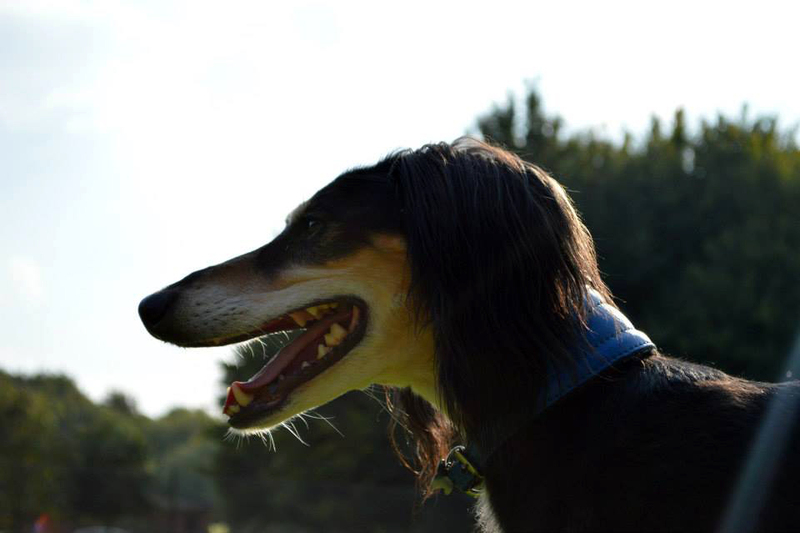 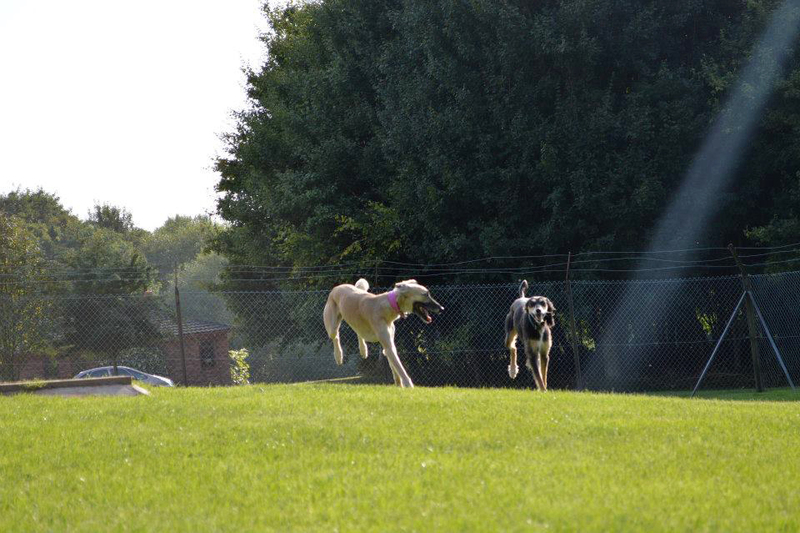 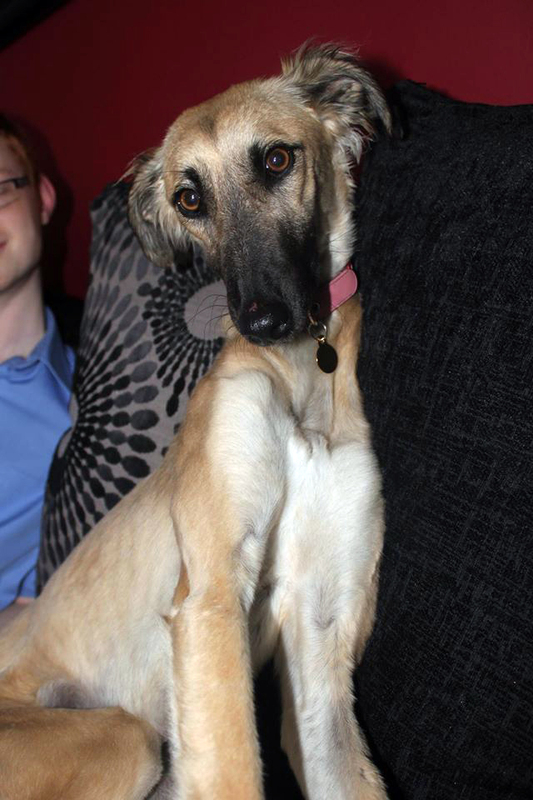 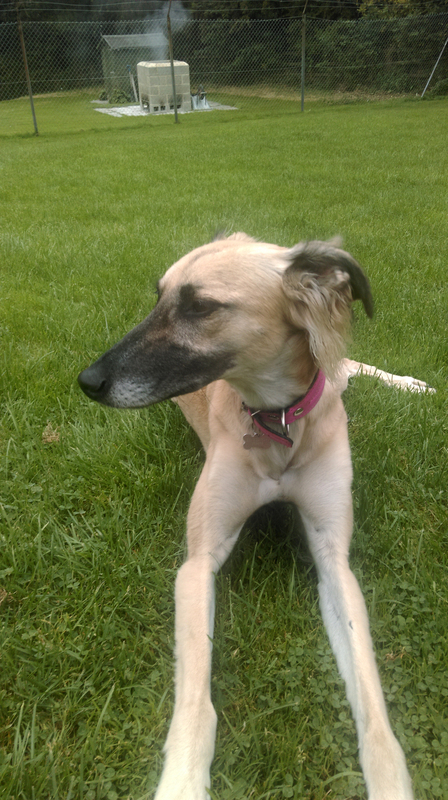 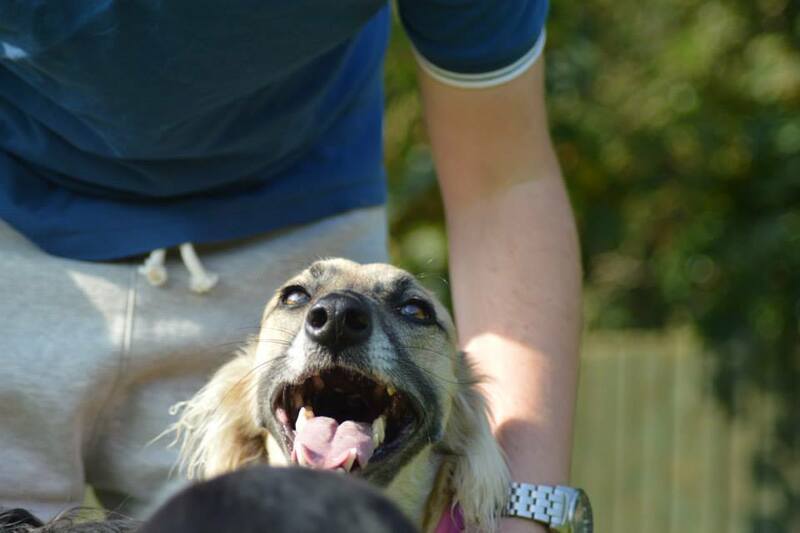 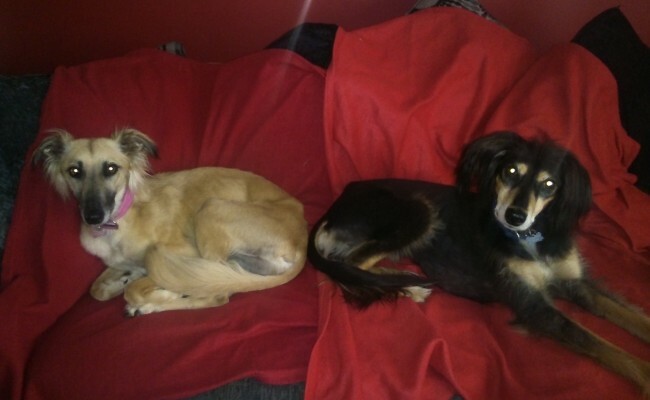 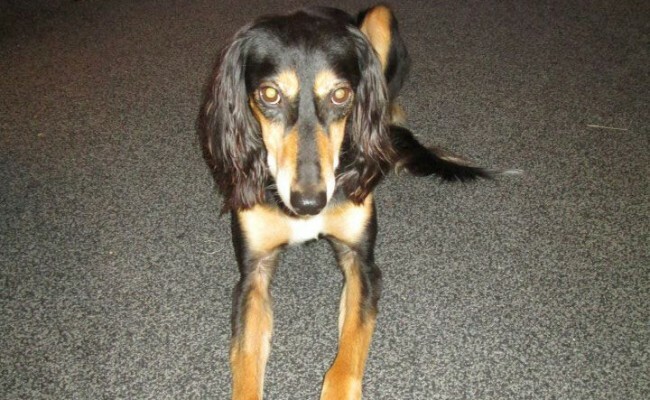 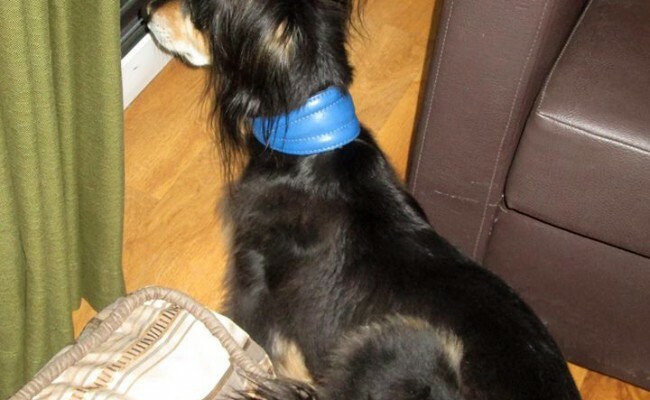 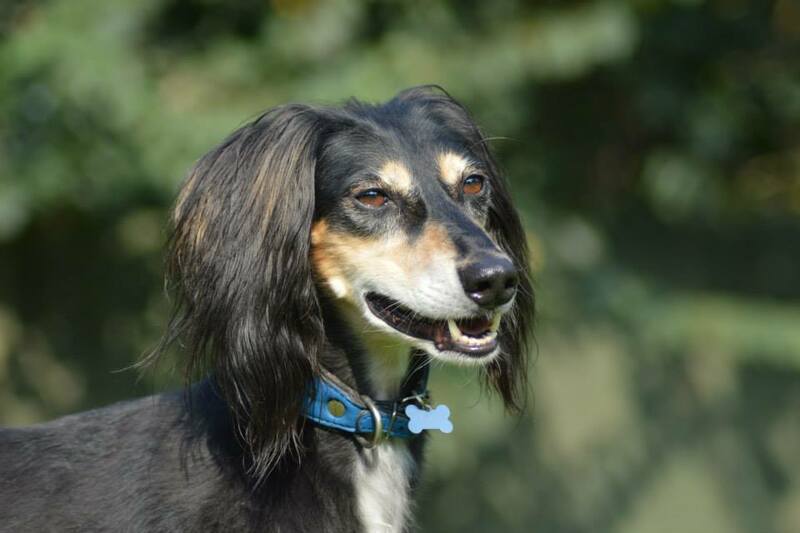 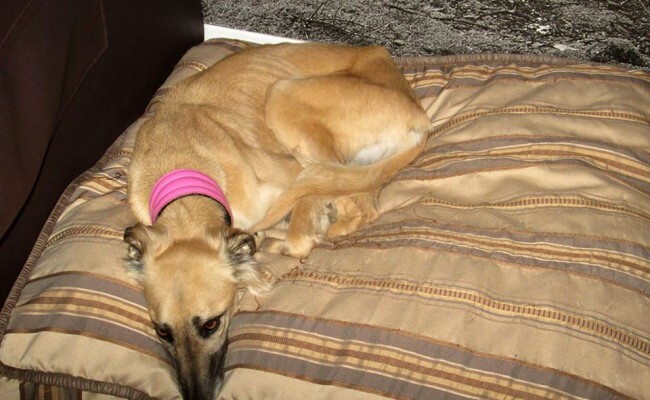 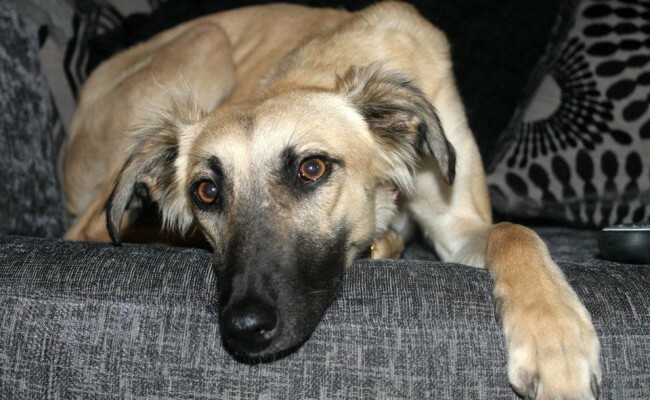 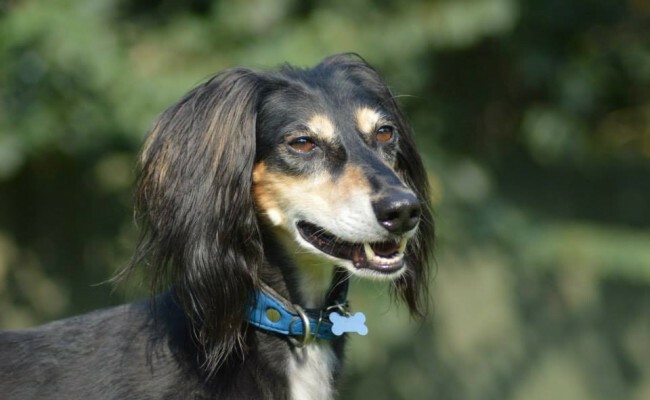 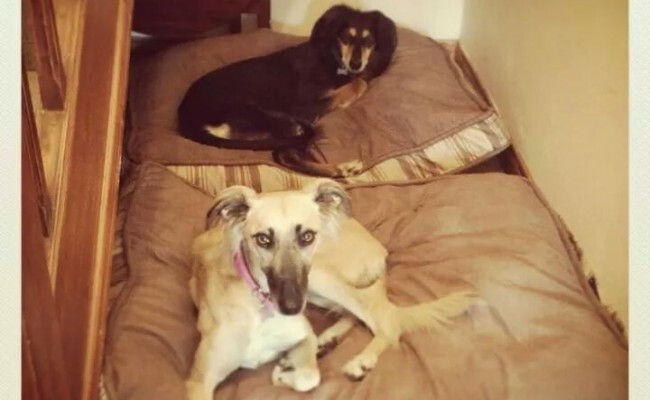 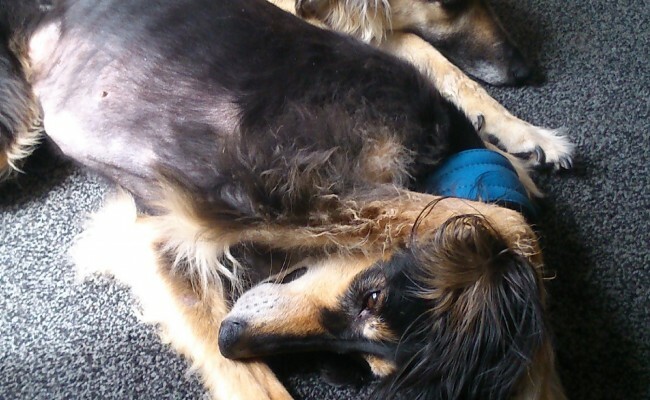 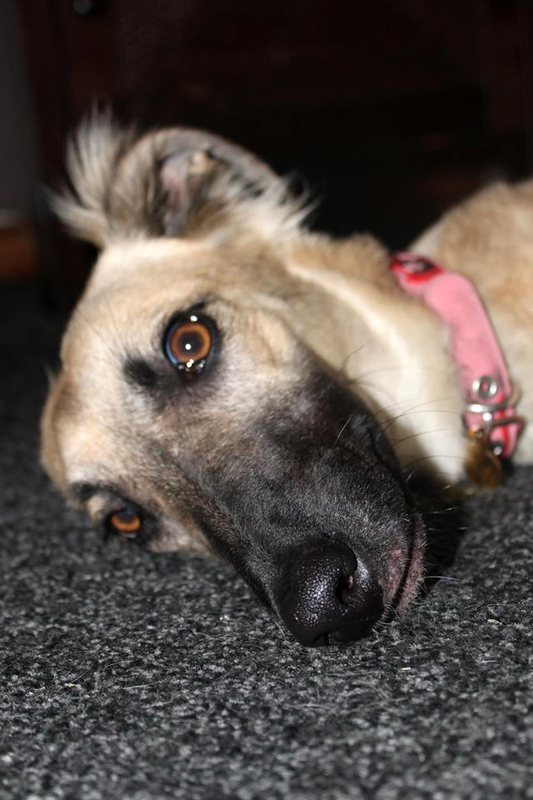 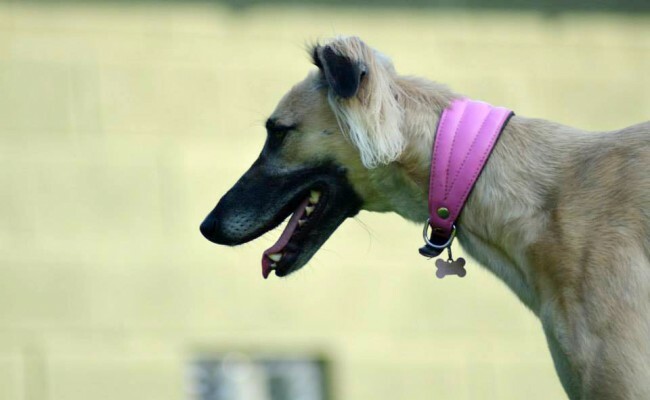 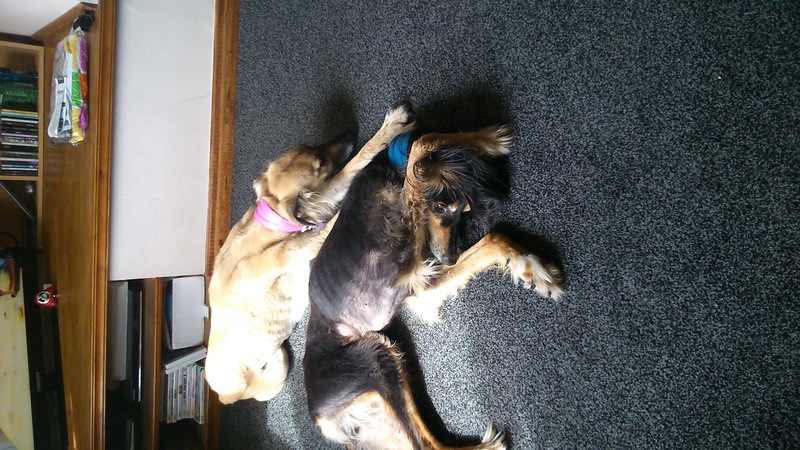 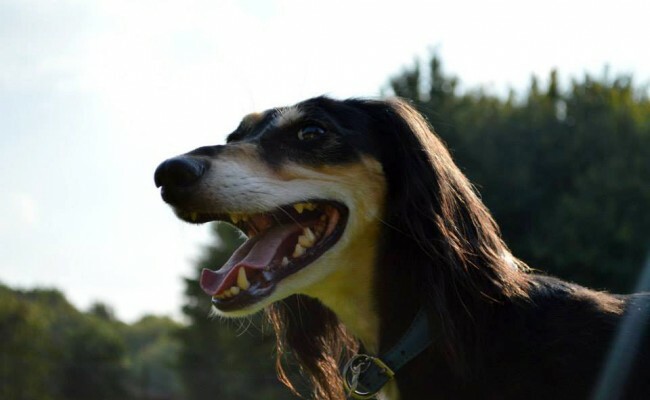 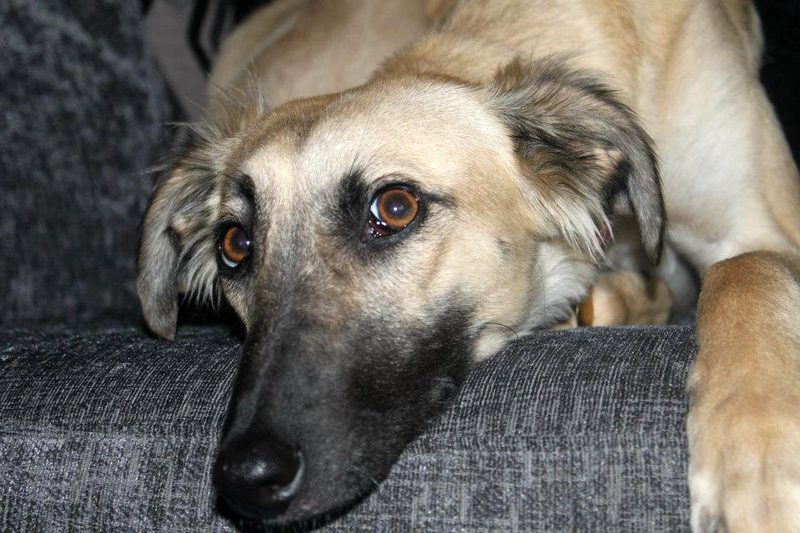 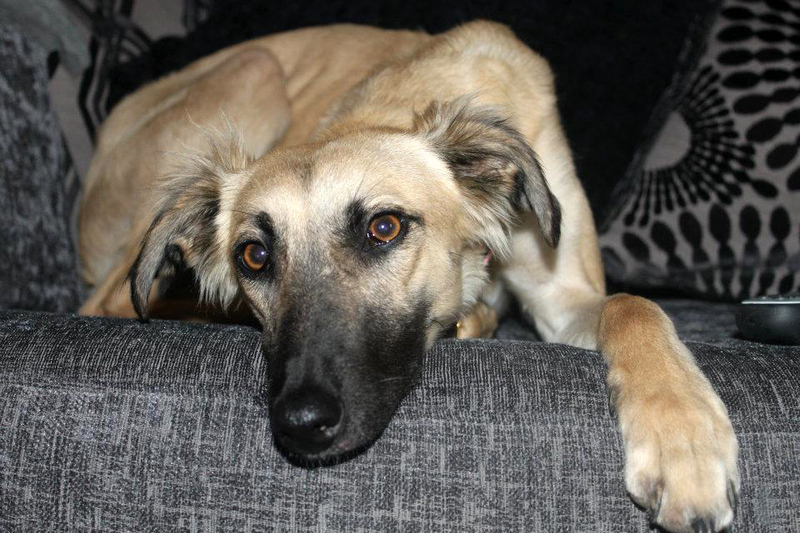 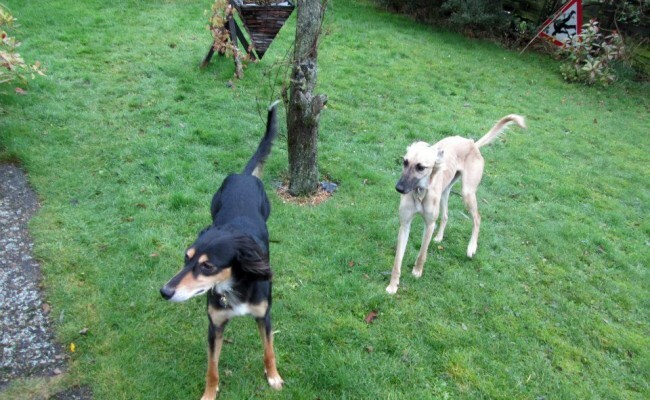 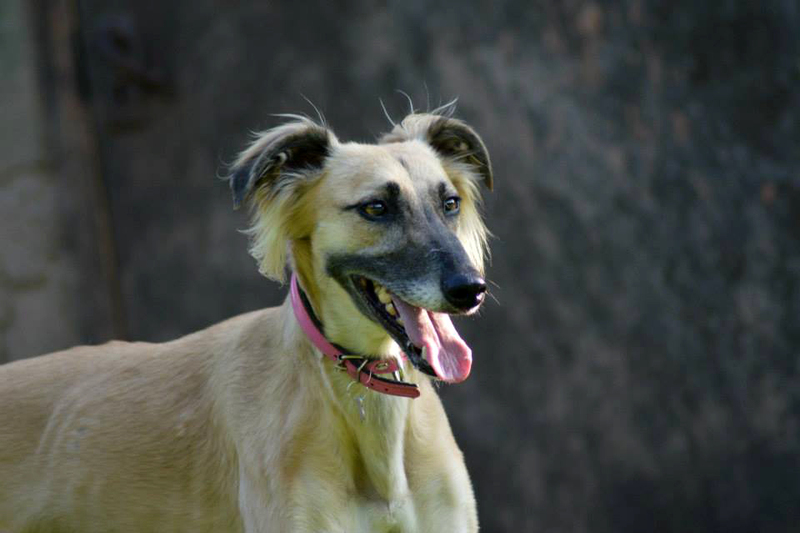 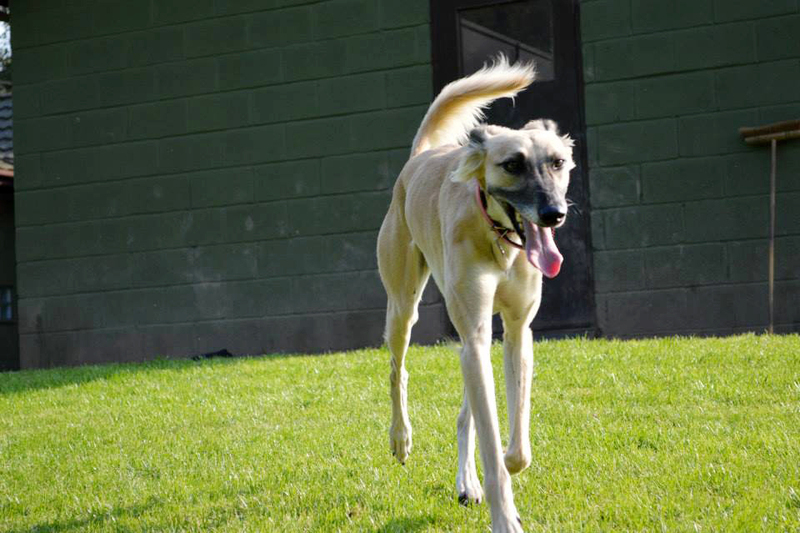 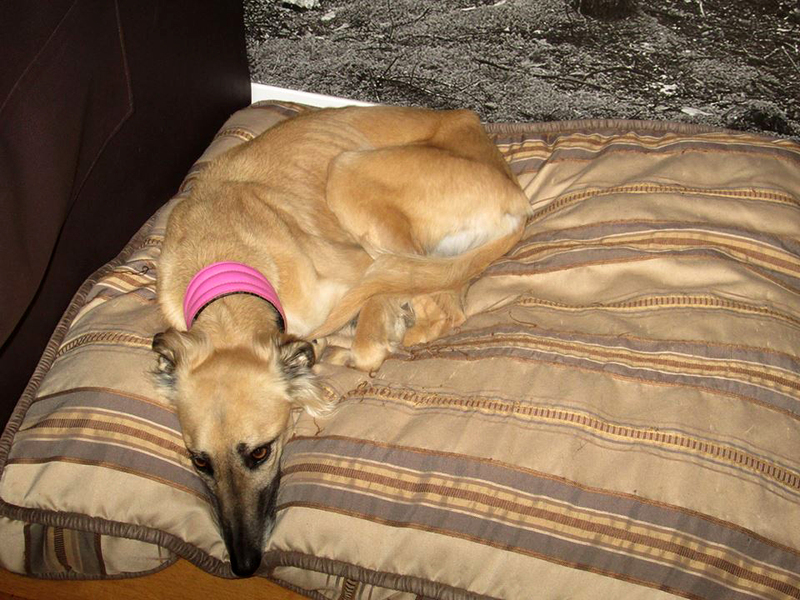 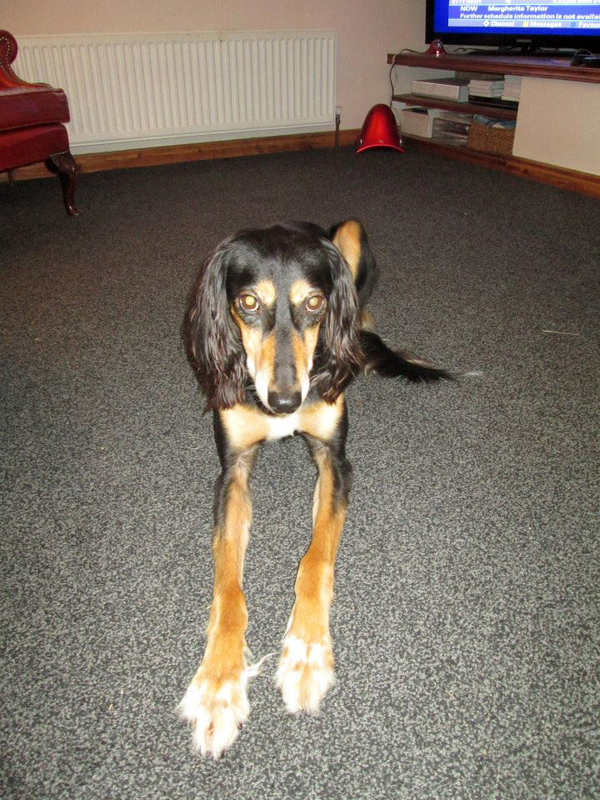 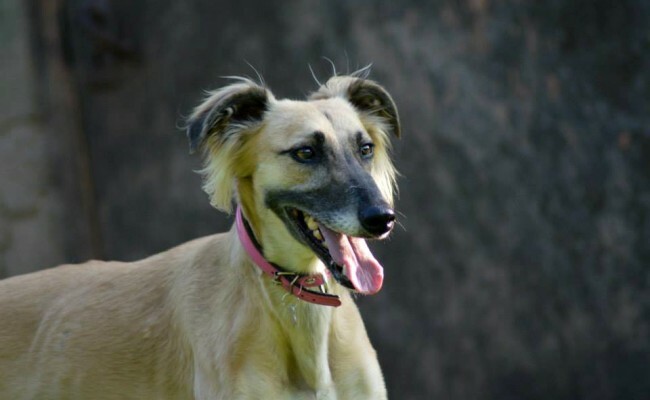 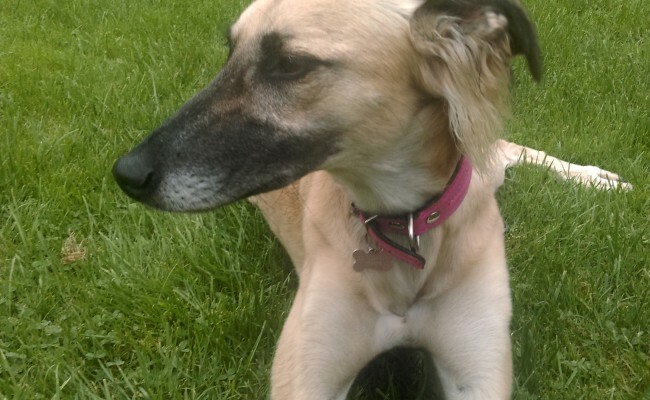 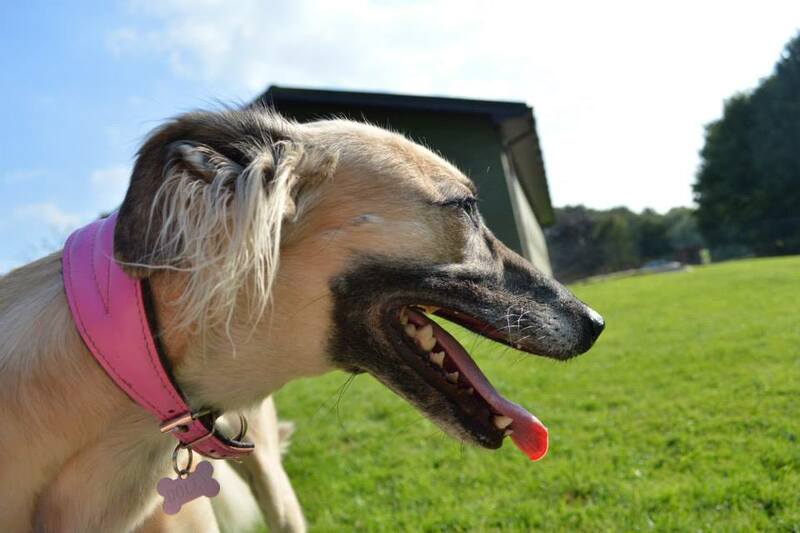 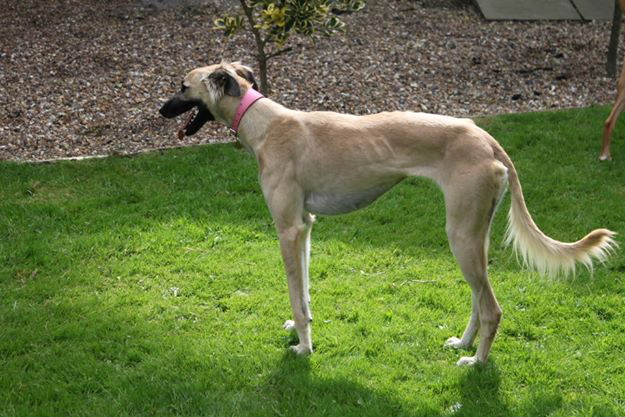 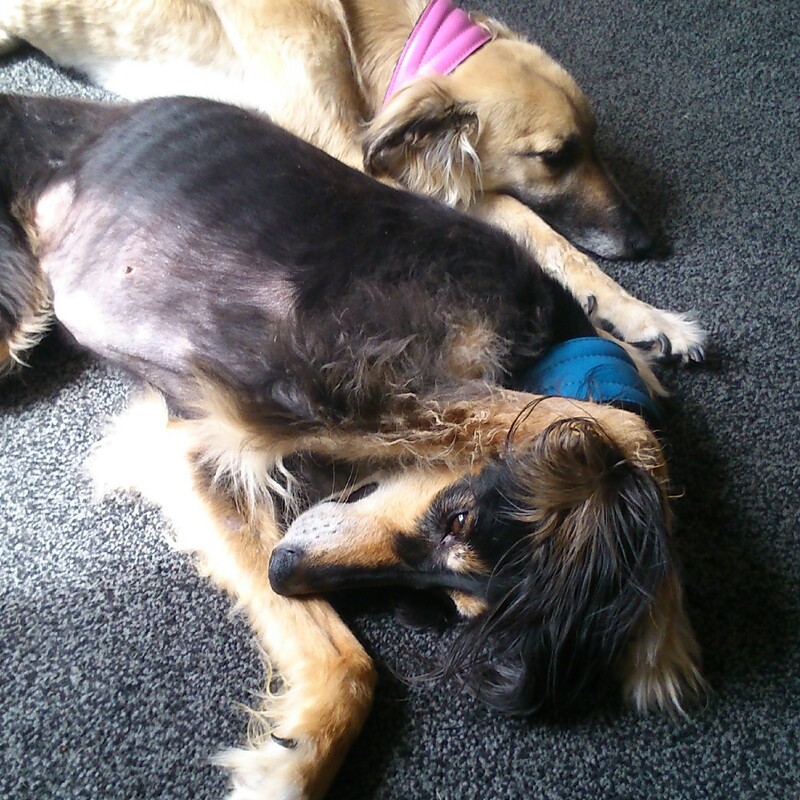 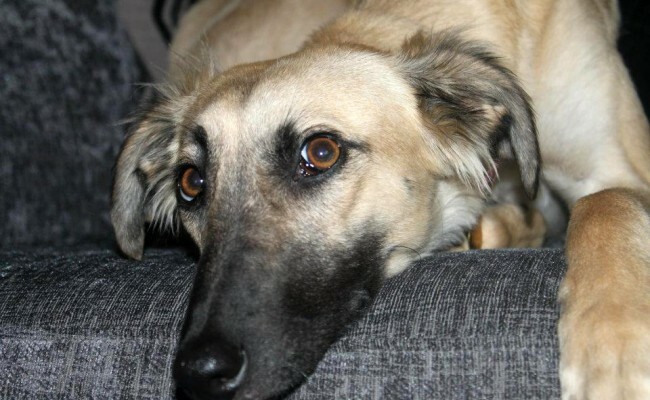 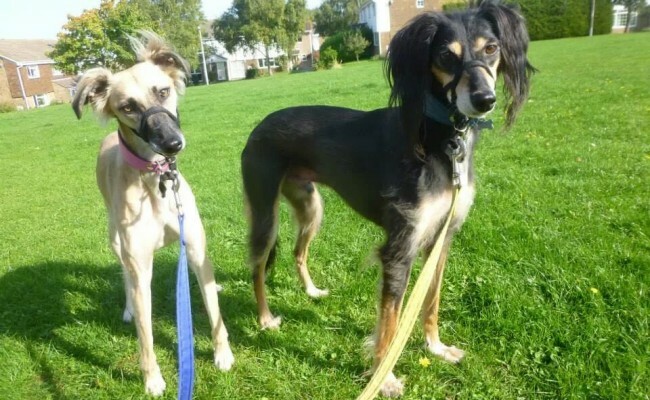 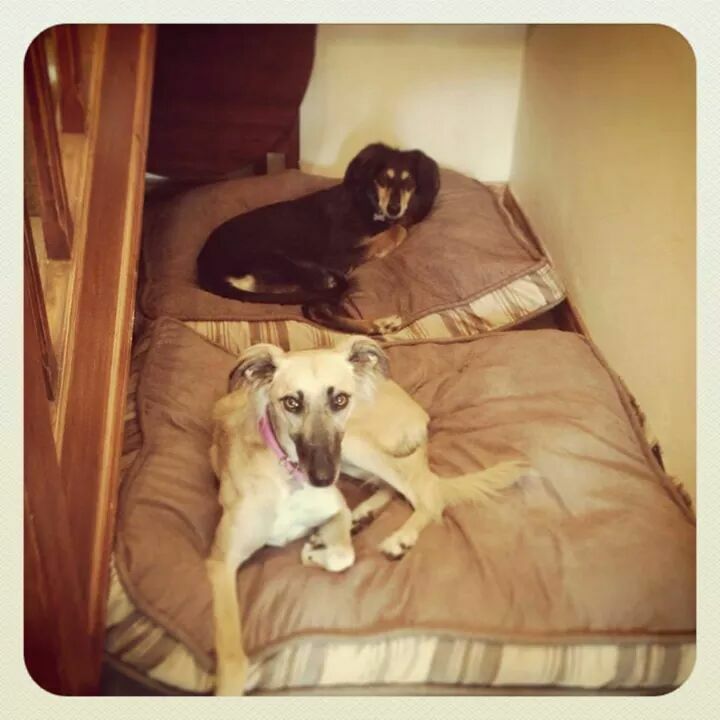 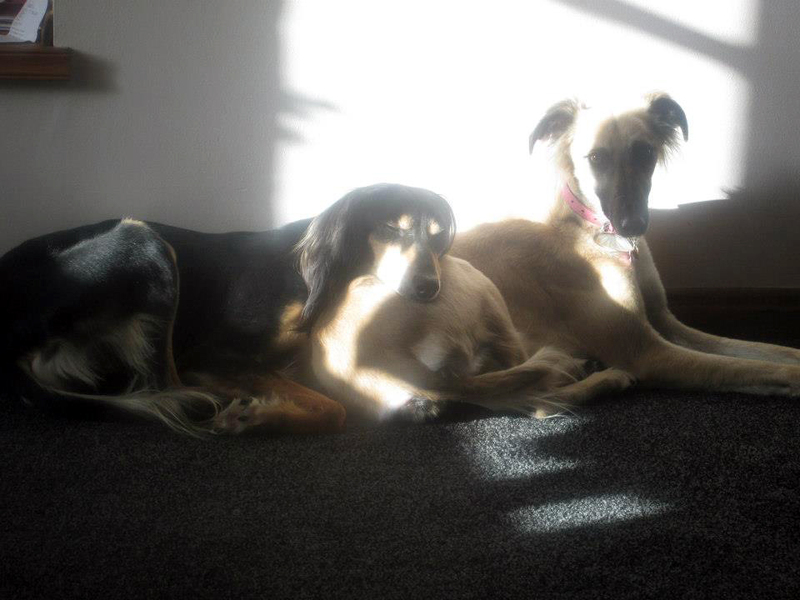 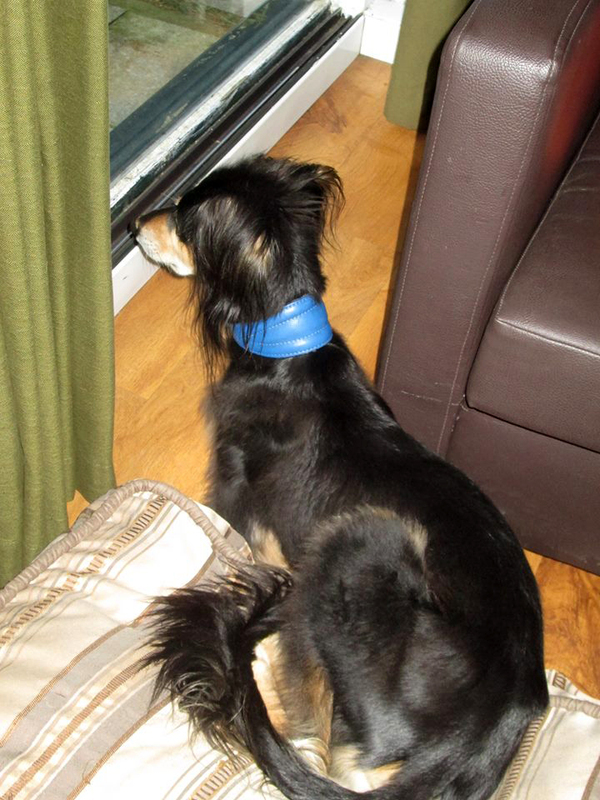 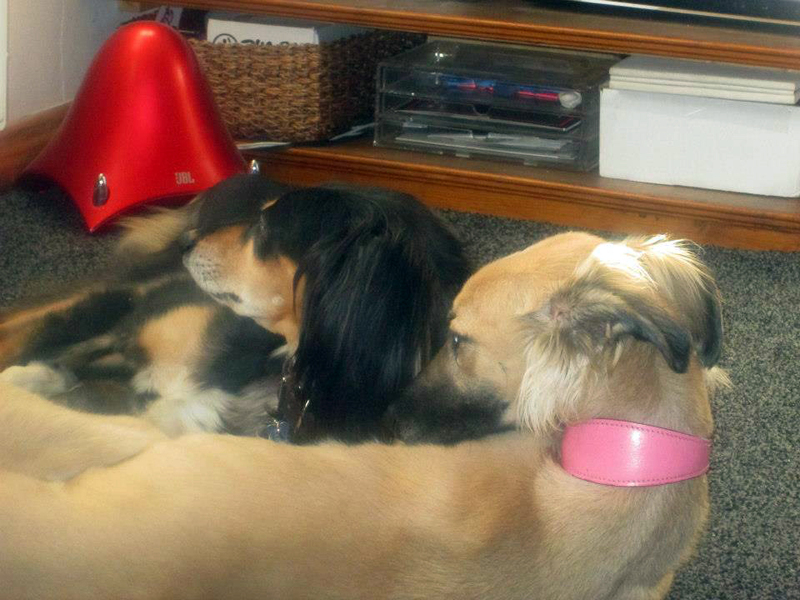 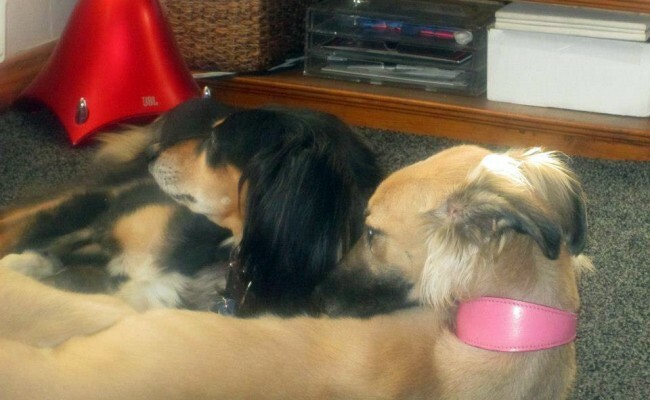 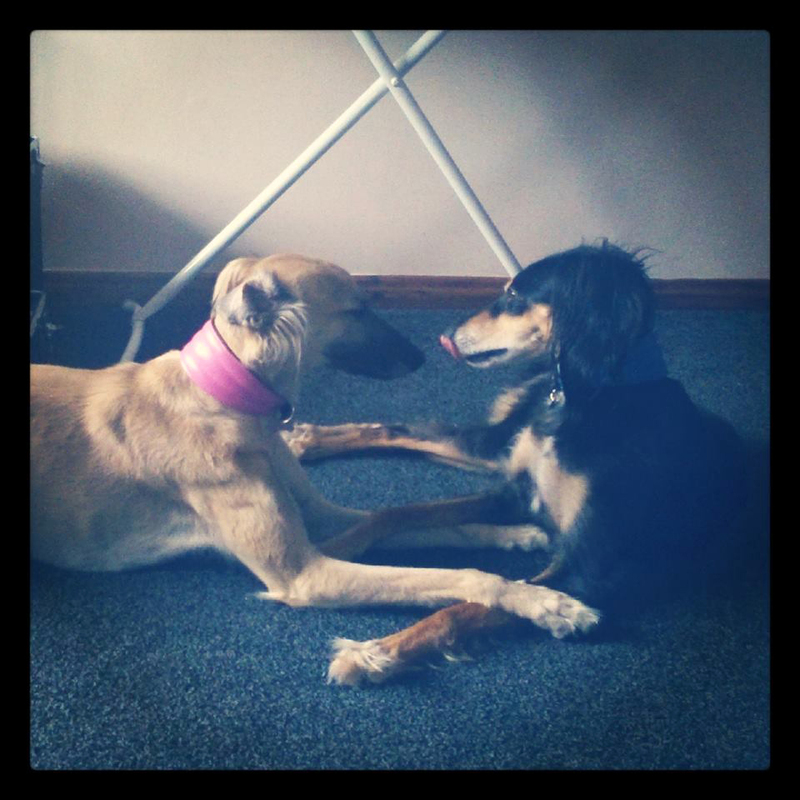 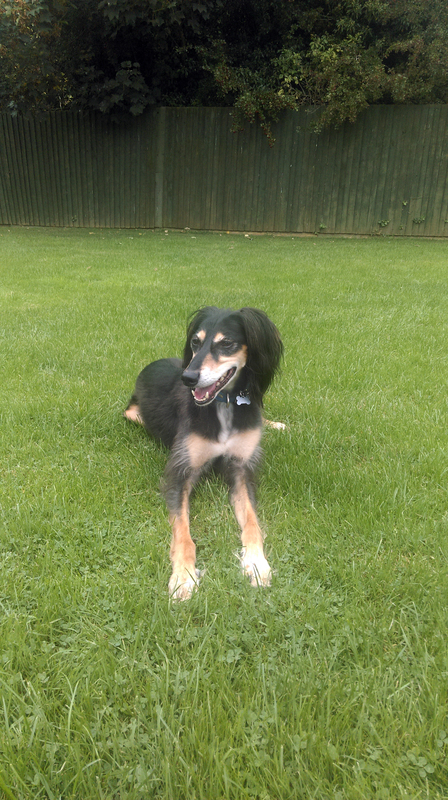 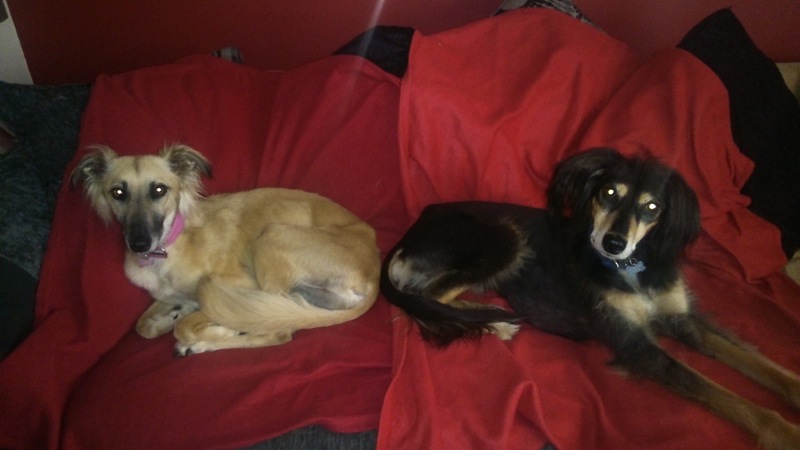 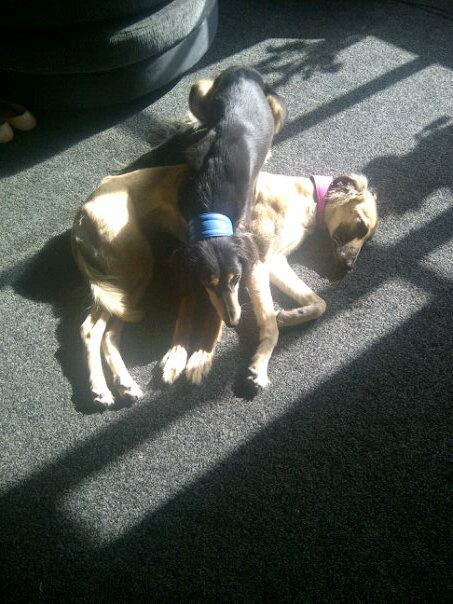 Dolly & Marvin are are stunning Saluki’s and are around 3 years old. 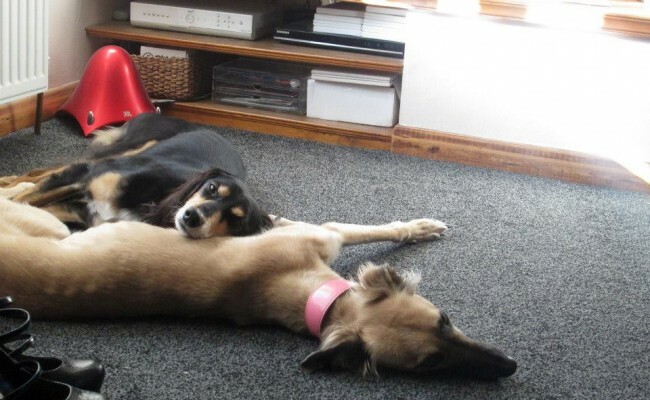 They are the most wonderful couple and are completely devoted to each other, they both have such wonderful nature’s and are so easy going, and loving! 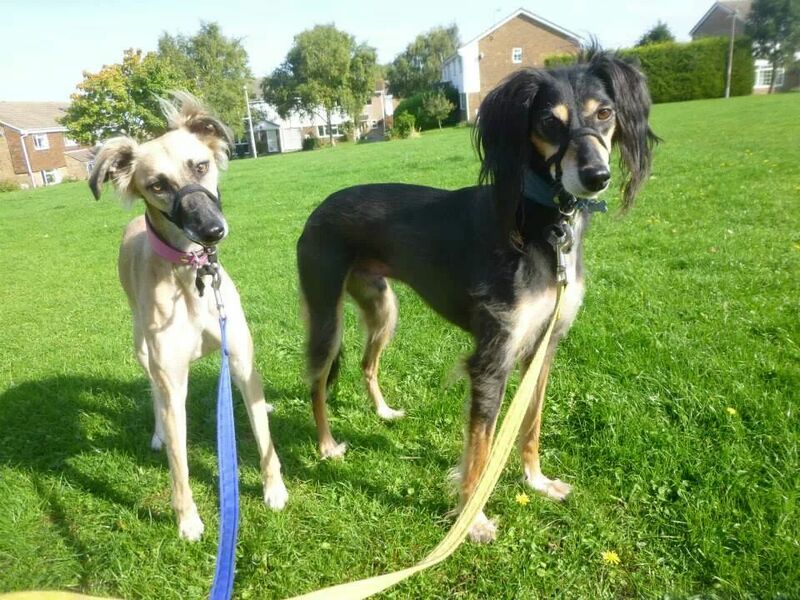 Sadly Dolly & Marvin came to us due to a marriage break up and their previous owner could no longer keep them, they were devastated to say good-bye but really wanted to make sure they had the best life which she felt she could no longer give them. 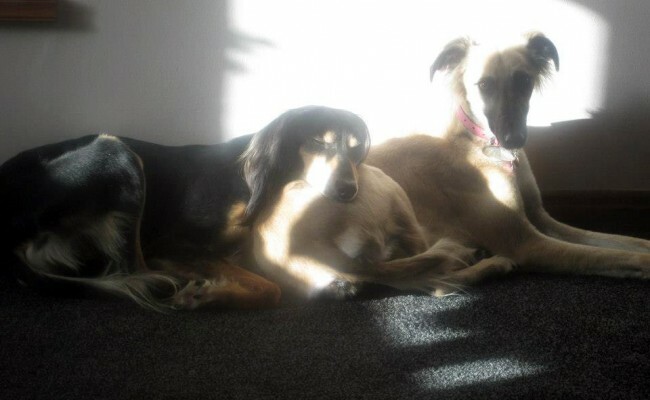 Marvin was originally an SOS dog but since living with Dolly has found his soul mate so we could not split them up. 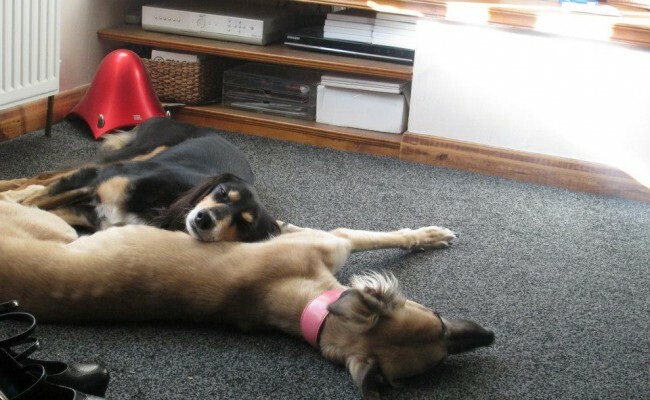 They are such beautiful dogs, they are great with other dogs and love playing, they love nothing more than having a good run round and then curling up on the sofa for a cuddle!! 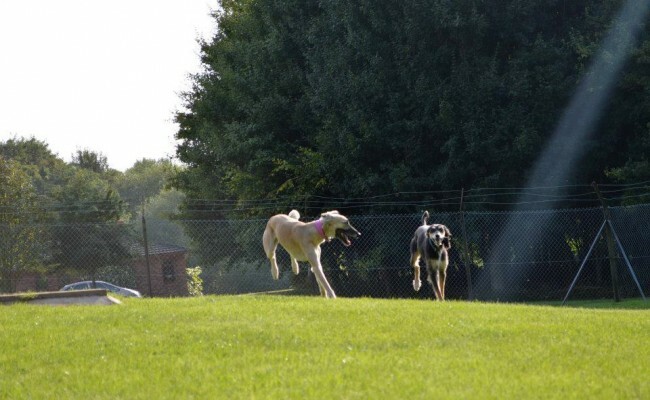 They are typical hounds and cannot be let off lead unless it is an enclosed area. 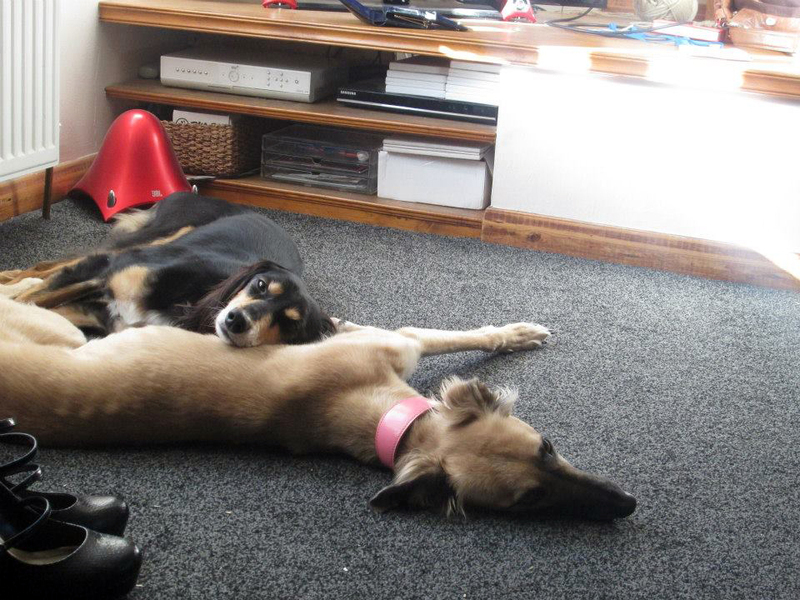 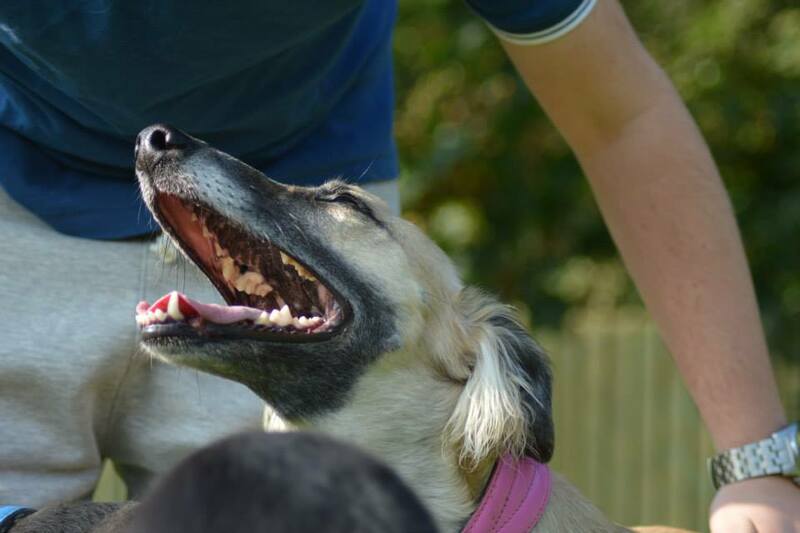 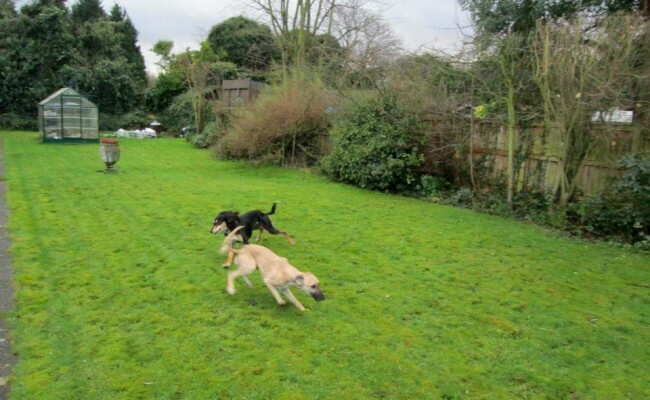 So ideally a home with previous sighthound experience would be ideal. 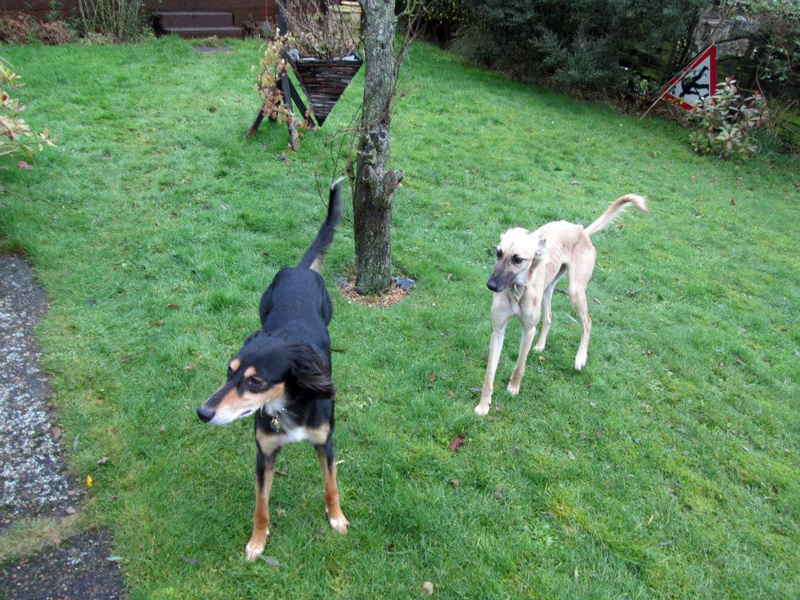 They both know basic commands, and are very food orientated. 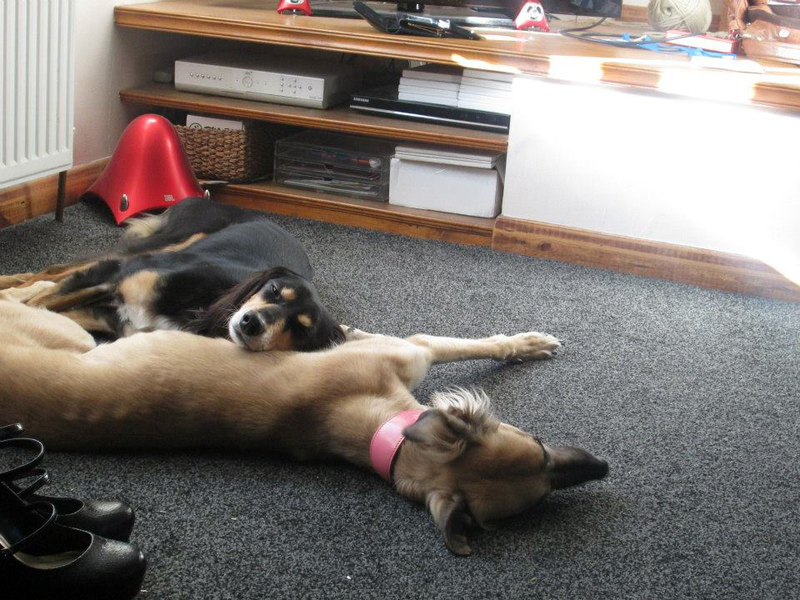 They are fine to be left on there own for a few hours and are non destructive in the house. 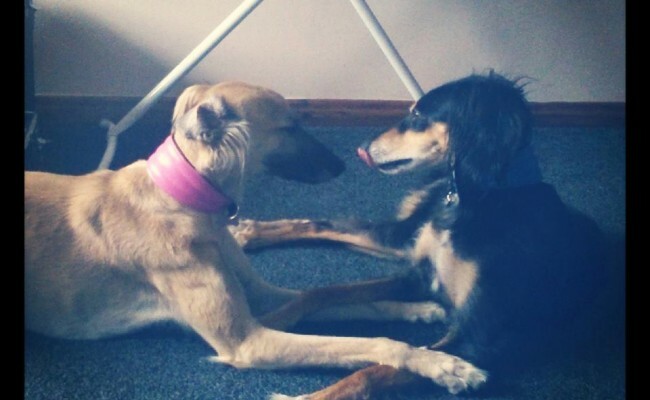 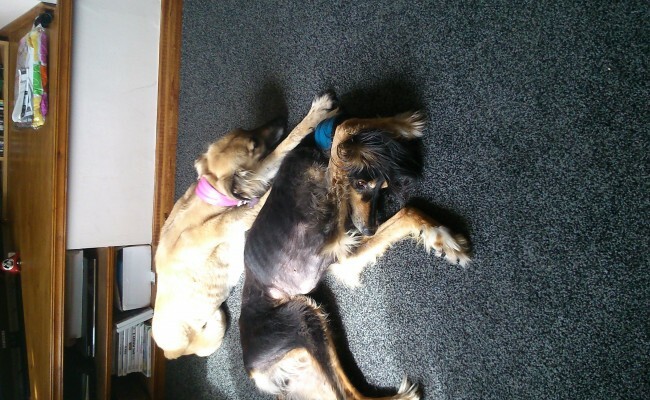 Dolly and Marvin make a wonderful couple and are such sweet and affectionate dogs. 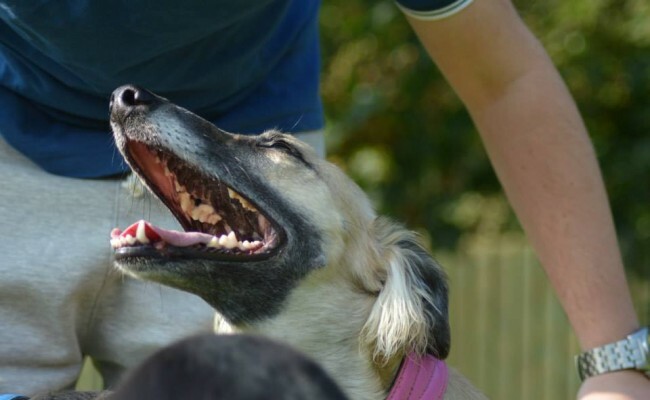 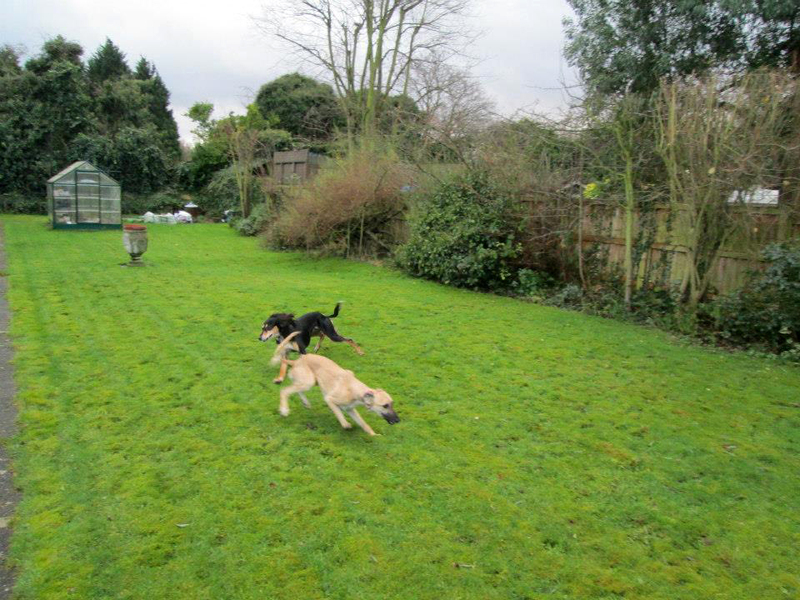 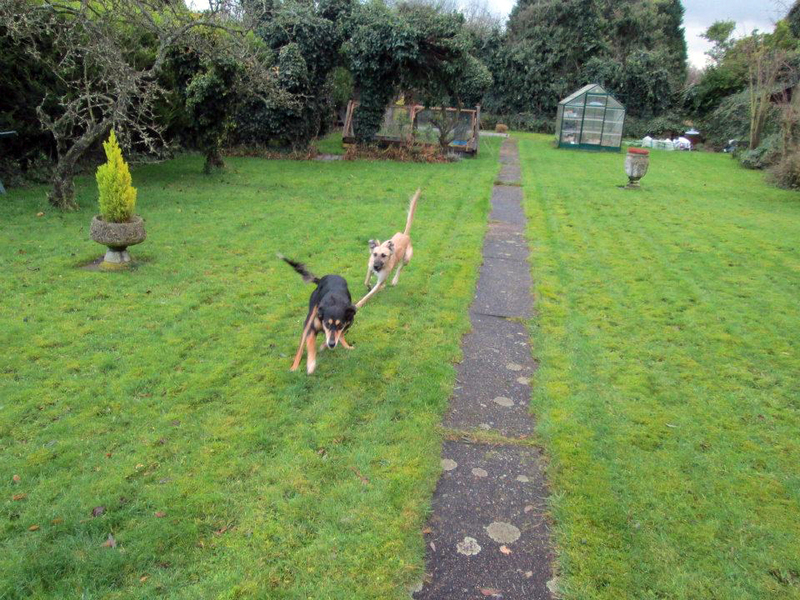 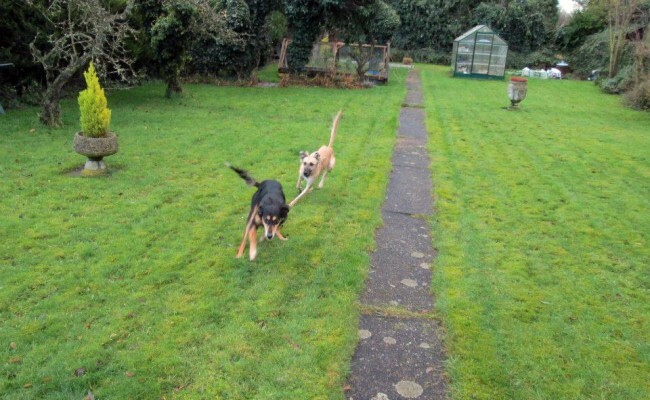 They would need a home with a secure garden where they can have a good run in and also have good walks, someone who can give them lots of love and attention as they deserves the very best.